Although I would usually divide a post devoted to separate story arcs into its various episodes, the standalone that kicks off the three I’m covering today is so slight, I don’t really have much to say about it. A loving tribute to Akira Kurosawa, “Bounty Hunters” (episode 2.17, which is the next episode chronologically after 2.3, which I covered in the last post) is a completely enjoyable episode, but there just isn’t much to it. Basically, Anakin, Obi-Wan, and Ahsoka join forces with a group of bounty hunters in order to help a small farming community learn how to defend themselves against the very pirates who captured Obi-Wan and Anakin in “Dooku Captured”. It’s a nice, inspiring little story, but unlike most of the other episodes, it doesn’t have anything terribly profound to say either about the Star Wars characters or the universe, nor much genuinely surprising or twisty. The main points I took away from it were that not all bounty hunters are scum (which, granted, could be seen as significant, since it’s the first time that’s ever happened in Star Wars, at least on screen–I’m not well-versed in the EU), and that Obi-Wan and the horned bounty hunter lady have great chemistry and should totally hook up, if that’s allowed (as I understand it, the Jedi aren’t allowed relationships but that doesn’t necessarily mean lives of celibacy). The two-parter that follows it, on the other hand–composed of 2.18 and 2.19, “The Zillo Beast” and “The Zillo Beast Strikes Back” are arguably the most emotionally powerful episodes of the series up to this point, during which I found myself so enthralled and at times dismayed (as was intended) that I often forgot that I was watching an animated television series. This is thought-provoking, dramatically charged, cinematic science-fiction of the highest order, confronting the audience with moral quandaries and real-world parallels, while also gradually but firmly pressing the story further along its ultimate, tragic path. 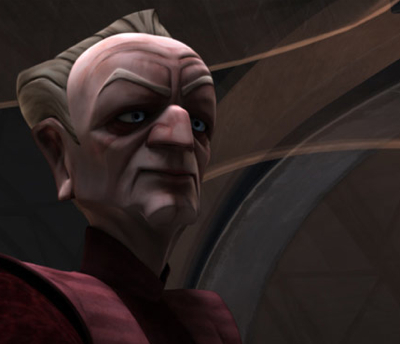 I never would have expected that the Clone Wars team could’ve taken a concept as potentially B-movie cheesy as “Star Wars Meets Godzilla,” culminating in a huge-monster-set-loose-on-Coruscant final act, and made it so narratively rich and intensely gut-wrenching, but the fact that the writers choose to co-opt the second half of the title of the darkest film in the original trilogy in order to name the second part should have been a strong clue. As far as the plot is concerned, the Zillo Beast episodes begin by following the basic arc of Godzilla, beginning with the explosion of a Doomsday device–the Electro-Proton Bomb–on the part of the Republic that has the ability to wipe out all droids within its blast radius–the first time that we’ve seen “the good guys” with a weapon of annihilation to rival the Separatists’. Unsurprisingly, it was commissioned by Palpatine. Although one might think that there wouldn’t be much of a downside to a weapon that doesn’t harm organic life (making it the opposite of the Separatists’ defoliator in “Defenders of Peace”), the force of the explosion is so strong that it rips the ground underneath it apart, causing a huge sinkhole that swallows up Republic troops, as well, a pointed commentary on the destructive nature to all of all weapons of mass destruction. Other troubling nuances include that it goes on to also knock out Republic electronics, including Anakin’s robotic hand (the first time in this series that we’re directly reminded of his loss of limb, his first physical step to Vaderdom), and the fact that the blast looks disarmingly similar to the explosion of an atomic bomb. Significantly, the ones that landed in Hiroshima and Nagasaki during World War II help lead to Godzilla’s birth in the original film, as the result of the Japanese creating and testing their own bombs in retaliation. 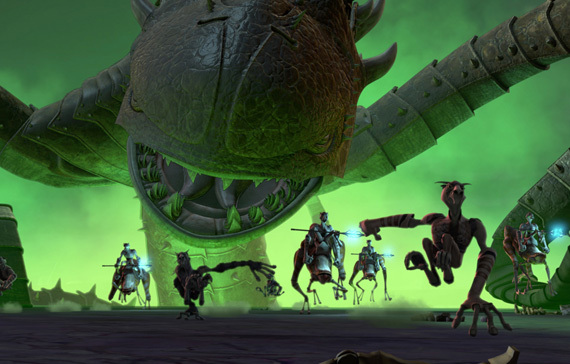 Whereas Godzilla was literally created by atomic fallout, this weapon merely uncovers the existence of the Zillo Beast, the last of its species, which had been living beneath the surface of the planet long after the rest of its kind had been wiped out by the planet’s inhabitants, the Dugs (the same species as Sebulba, Anakin’s pod-racing nemesis on Tattooine in The Phantom Menace). Ironically, this weapon of death to mechanical objects has helped uncover seemingly lost organic life, an event that should be one treated with wonder and respect (significantly, in Godzilla, the giant lizard is believed to be a manifestation of an angry, ancient god). 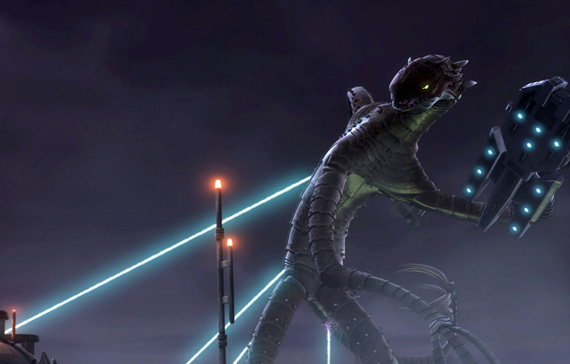 Instead, however, the Zillo Beast will soon tragically fall victim to Palpatine’s corruption, despite the best efforts of good people like Mace Windu and Senator Amidala. In many ways, “The Zillo Beast” two-parter is a darker, sadder story than Godzilla, because while there was always an element of tragedy to the film in that the creature didn’t ask to be created by the very people it later ends up ravaging and was simply behaving like the wild animal it was, the Zillo Beast is captured, taken against its will to a city inhabited by millions of people, and brutally tortured. Upon escaping, it behaves the way it does because it is frightened, angry, and doesn’t belong there. In the original Godzilla, the creature’s attack on Tokyo is considered to be punishment for the country’s nuclear testing, particularly after it experienced the devastating effects of atomic bombs upon its own people, and while there is a level of punishment to the Zillo Beast’s attack and the fear that Palpatine briefly experiences is gratifying to watch to say the least, in the end the Chancellor learns no lesson and gets exactly what he wanted from the start: the beast dead and a huge sampling of genetic material in order to launch further tests on its physiology. In Godzilla, the scientist who creates a new bomb that eventually destroys the beast, kills himself right after he detonates it, so that no one else will be able to recreate it afterwards, whereas the scientist in this episode goes on with her work, having been ordered by Palpatine to clone it. One can only imagine the horrifying experiments that he will order done upon it. The temporary rush we might receive at seeing an enormous creature rampaging amongst the shiny, futuristic buildings of Coruscant is tempered by the overwhelming sadness of why it has been brought there, the pain that was inflicted upon it, what we know will be its inevitable fate, and the fact that we know it is at least semi-sentient, given how it seems to understand that Palpatine plans to kill it. I cherished up to you’ll receive carried out right here. The caricature is attractive, your authored material stylish. nevertheless, you command get bought an impatience over that you want be delivering the following. ill certainly come more until now once more since exactly the similar just about a lot frequently inside of case you defend this hike.